Cardiovascular disease is one of the most common ailments in America; heart disease is the leading cause of death in the US, causing nearly 1 in 4 deaths annually. Nearly fifty percent of Americans have one or more risk factors for heart disease, which include diabetes, a history of tobacco use, obesity, and a largely sedentary lifestyle. Many different pharmaceutical interventions are prescribed for cardiovascular disease, from ACE inhibitors to anticoagulants to antiplatelet agents to cholesterol-reducers like statins and cholesterol absorption inhibitors. If you’ve been diagnosed with cardiovascular disease, you may have a veritable armada of medications in your arsenal. Many of these medications can interact with both other medicines and the food you eat, making accommodating them in your life difficult. They can also produce nasty side effects and make you feel, well, crummy! While we don’t advise discontinuing these medications outright (a terrible idea for your heart) without consulting your doctor and keeping a careful eye on your lab results (it’s important to continue to monitor your condition, and blood testing provides an excellent picture of your cardiovascular health), there is evidence to suggest that CBD can help alleviate the hypertension and inflammation underlying cardiovascular disease, reducing your risk of heart attack and stroke. So, how does CBD help with cardiovascular disease? First, we’ll need to discuss the roots of cardiovascular disease—what it is, what causes it, and how to prevent it, or mitigate it if you’ve already been diagnosed. Then, we’ll explore the science of how CBD acts on your system to reduce hypertension and relax your blood vessels. We’ll close with a recommended CBD regimen to help alleviate your symptoms and improve your health markers; work with your doctor to assess the effectiveness of your CBD regimen by watching your progress on your blood tests. You may find that CBD is enough to manage your condition effectively! When reduced to its most basic elements, cardiovascular disease is like so many other illnesses in that it’s a disease of inflammation. Your blood vessels can become inflamed just like other tissues of your body, restricting blood flow and potentially blocking vital pathways, causing a heart attack or stroke. Hypertension, or high blood pressure, is a symptom of this inflammation: the blood vessels constrict as they become inflamed, forcing blood through the smaller openings at higher and higher pressures, sort of like putting your thumb over the mouth of a garden hose. This not only stresses the walls of your blood vessels, it also strains the heart, which has to work harder to pump your blood through your constricted and inflamed system. This is one of the reasons aspirin is commonly prescribed as a preventive measure to people approaching middle age, the time of life when we expect to see cardiovascular disease arise. Aspirin works in two main ways to help stave off heart disease: it is a blood-thinner, meaning it makes your blood less likely to clot within your blood vessels and produce a heart attack. It is also an anti-inflammatory, and helps reduce the inflammation within your blood vessels that is contributing to your high blood pressure. CBD can also accomplish this relaxation of blood vessels, as it’s a potent anti-inflammatory that has been shown to relax blood vessels themselves (more on the biomechanics of that action in a moment!). CBD also reduces the cardiovascular response to different types of stress, which means it can help regulate your heart rate and decrease your risk of a sudden cardiac event. Before we begin talking about the science of how CBD helps improve cardiovascular health, we need to make a note: CBD is no different from other medications in that it won’t magically undo or negate poor lifestyle choices. Cardiovascular disease affects your whole body, so you’ll need to consider your whole body when treating it in order to be effective. If you’re going to add CBD to your regimen, that’s wonderful! That said, if you’re looking to get the maximum effect from your dose, you’ll need to pair your CBD routine with healthier lifestyle choices. This doesn’t just mean quitting tobacco, reducing alcohol intake, and avoiding fried foods—like anything else in life, the more you put into your lifestyle changes, the more you’ll get out of them. It’s a good idea to increase your physical activity—try making small changes like going for a morning walk or taking the stairs to your office instead of the elevator—as well as making responsible dietary choices. There is mounting evidence to support the theory that the standard American diet—high in sugar and carbohydrates, low in fat—is hard on your system and promotes systemic inflammation, so talk to your doctor about how to make changes to your diet that will support your heart health. Diet is tricky because so much of the existing research is influenced by the sugar and wheat industries (who have a vested interest in downplaying the harm their products cause), so it’s important to do your research while paying close attention to who funded the studies you’re reading. We advise working with your doctor in conjunction with doing your own research, and don’t be afraid to seek a second opinion! While there are a fairly small (from a scientific perspective) number of studies available on the specifics of how CBD acts on the cardiovascular system, there’s a lot to unpack within them. We’ll be focusing on a study conducted in 2013, which found several phytocannabinoids (including CBD) to be effective in inducing vasorelaxation, or relaxing the tissues of blood vessels to increase their diameter, thereby improving blood circulation. CBD was also found to act as an agonist (a compound that boosts the effects of a different compound in the body) for a compound called PPARγ, which helps clear blockages in the arteries and reduces blood pressure. This means that CBD acts on the cardiovascular system in (at least) two ways: it relaxes the blood vessels themselves, and it helps boost the activity of compounds that reduce blood pressure and gradually clear blockages. There are also other studies, performed on both humans and rats, that show CBD to produce vasorelaxation through a receptor located in the endothelium (the inner layer of cells lining your blood vessels). The full discussion gets a little complicated here, but the main point is that researchers found evidence that CBD acts on a receptor in the endothelium to help relax and expand blood vessels. While that receptor has yet to be specifically discovered, scientists have shown us where we should be looking, so researchers are getting warmer! The anxiolytic (anti-anxiety) effects of CBD can also benefit cardiovascular health by decreasing cardiac response to stress, reducing the likelihood of a sudden cardiac event, like a heart attack. CBD can help regulate an irregular heartbeat, further reducing your risk of heart attack—especially if you’ve been diagnosed with an arrhythmia. These studies suggest that CBD has a regulatory effect on heart rate, and it does not appear to raise heart rate (unlike THC). Before starting to use CBD for any specific purpose, you should understand that CBD is most effective when used regularly. While it can absolutely be used to manage acute flare-ups, its primary purpose is as a preventive, so you’ll need to be consistent with it! Consider it like any other medication or dietary supplement: you want to establish a baseline concentration in your body for maximum effect. To help support your cardiovascular health, we recommend ingesting full-spectrum CBD oil each day, in the form of tinctures or softgel capsules. Both products contain organic, non-GMO, hemp-derived CBD dissolved in MCT oil for maximum biovailability (the ability of a compound to be absorbed by your body); the only real difference is that the softgels are contained within a gelatin capsule and the tinctures are in liquid form. We like the softgels for convenience, but the tincture makes a great addition to coffee or smoothies if you don’t like the taste of it by itself. When it comes to figuring out what dose works for you, be prepared to do some experimentation. We recommend starting with 5-10 mg of CBD per day, building up from there by 5-10 mg at a time if you don’t experience relief at a low dose. Tinctures can be dropped a few milligrams at a time and the softgels are available in 15 mg and 25 mg dosage strengths, so you can easily adjust your dose. There is no harm in taking more than you need: you cannot overdose on CBD, it carries no serious side effects, and it does not cause your body to develop a tolerance to it. Ingested CBD will last up to 8 hours—many consumers find that their dose gets them through the whole day! That said, be advised that it also takes longer to kick in: between 45 and 90 minutes to feel full effects, depending on your body and the dose. In addition to the daily maintenance program discussed above, you may want to supplement your regimen with vaporized CBD. Unlike ingested CBD, vaping the compound takes effect almost instantly and can help soothe acute episodes of high blood pressure or a racing heart. We recommend either using CBD vape oil or dabbing pure CBD isolate in these instances, soothing your cardiovascular system quickly and effectively. 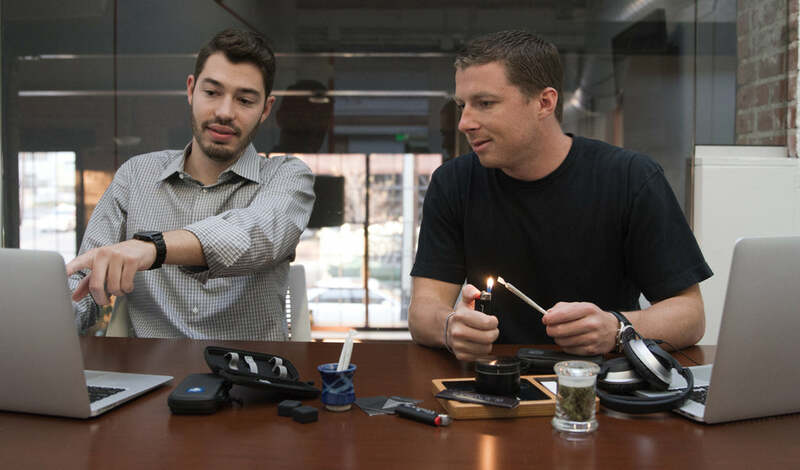 You can also use tinctures or softgels for these situations, but bear in mind that you’ll have to wait longer for relief than you would if you inhaled CBD. The potent anti-inflammatory and anxiolytic effects of CBD can provide major benefits to your cardiovascular system, reducing your risk of heart attack and stroke. CBD can perform some of the functions of commonly-prescribed medications to soothe inflammation and bring down blood pressure. If you’re interested in more research about the applications of CBD for cardiovascular disease, check out our free case studies to see how CBD can help you take control of your health. 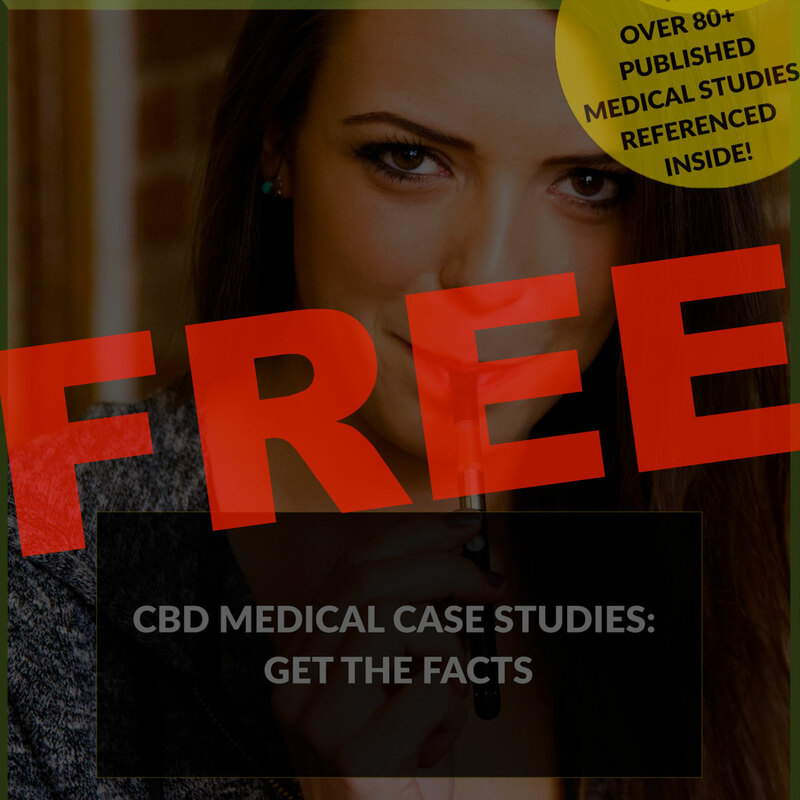 If you’d like more information about replacing your current pharmaceutical regimen with CBD, consider our CBD ebook, which covers everything you need to know to make the switch successfully.